The Epilog Zing Laser features high-quality engraving at the low cost that you’re looking for. Epilog’s small format, high-quality engraving line, Epilog Zing is perfect for everything from home use to starting a business. 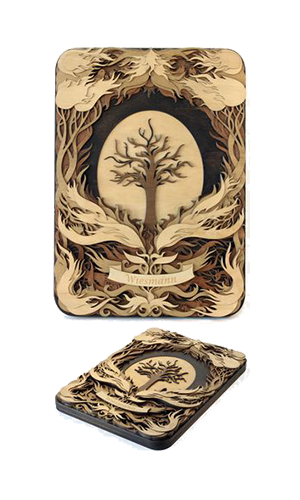 The Epilog Zing Laser features high-quality engraving at the low cost that you’re looking for. Whether you’re looking for your first laser to start out in the engraving and cutting industry or adding a second laser to your line, the Epilog Zing is a great choice with its excellent engraving quality and low price – 100% designed, engineered and built in the USA. The entry-level model in our laser product line, the Epilog Zing 16 provides a 16″ x 12″ (406x305mm) work area, but with the highest-quality engraving. 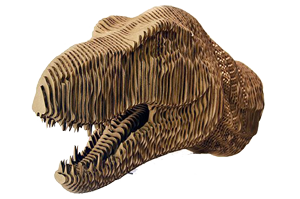 The small format, low cost, high-quality laser system by Epilog Laser. 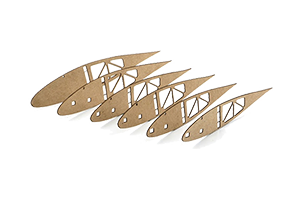 There is no skimping here – all metal chassis, high-end components, and the engraving quality that Epilog Laser is known for. Available in 30 and 40-watt configurations. Move up to the Epilog Zing 24 for a larger work area 24″ x 12″ (610x305mm) that holds most standard engraving stock material. A larger work area and more features make this laser an affordable choice for those needing more features than an entry-level machine. With a large 24″ x 12″ (610 x 305 mm) work area, you’ll be able to easily fit the most common size for engravable materials, and power choices of up to 60 watts means you’ll be able to cut through thicker materials and engrave at higher speeds. 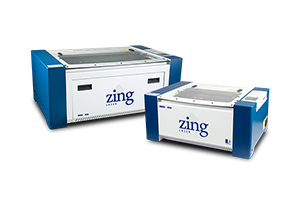 The Epilog Zing 24 laser system is a powerful choice in entry-level laser systems. Available in 30,40,50 and 60 watt configurations. Download the Epilog Zing Lasers brochure here. Note: CO₂ lasers will mark bare metals when coated with a metal marking solution.